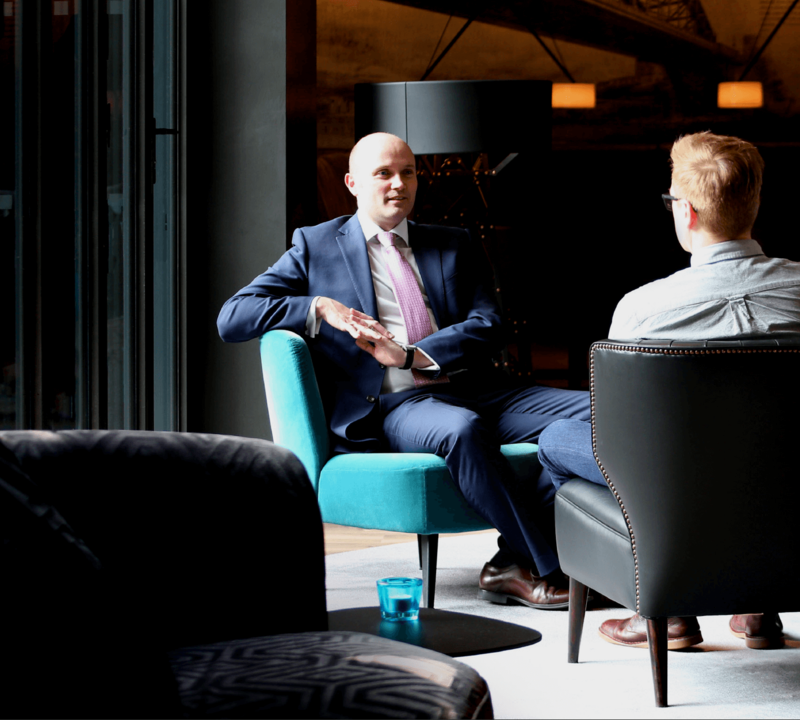 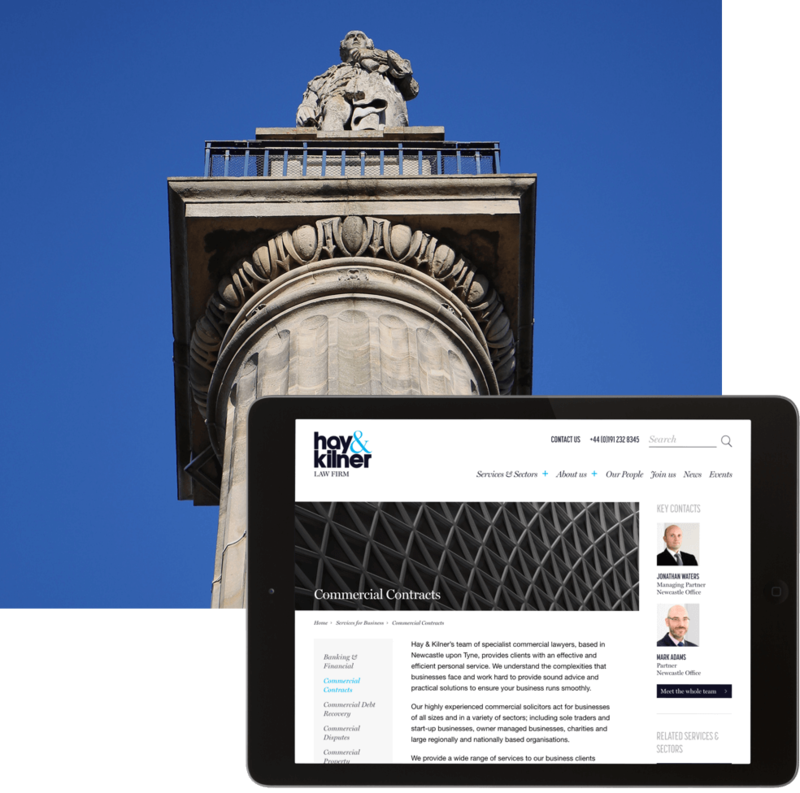 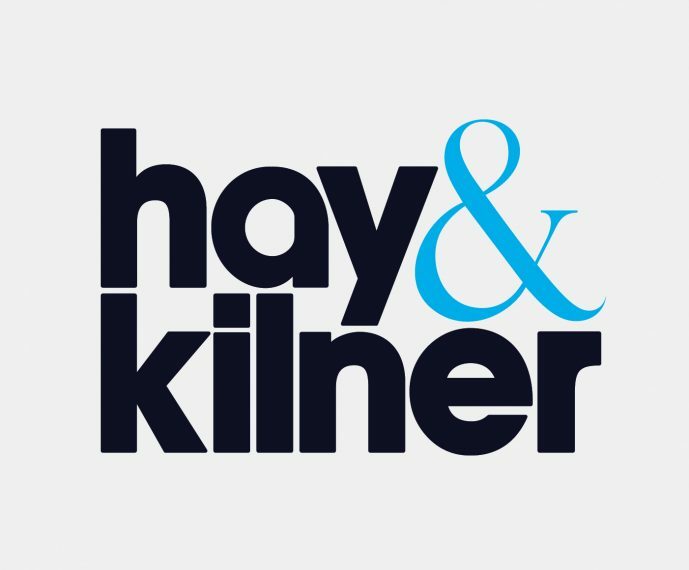 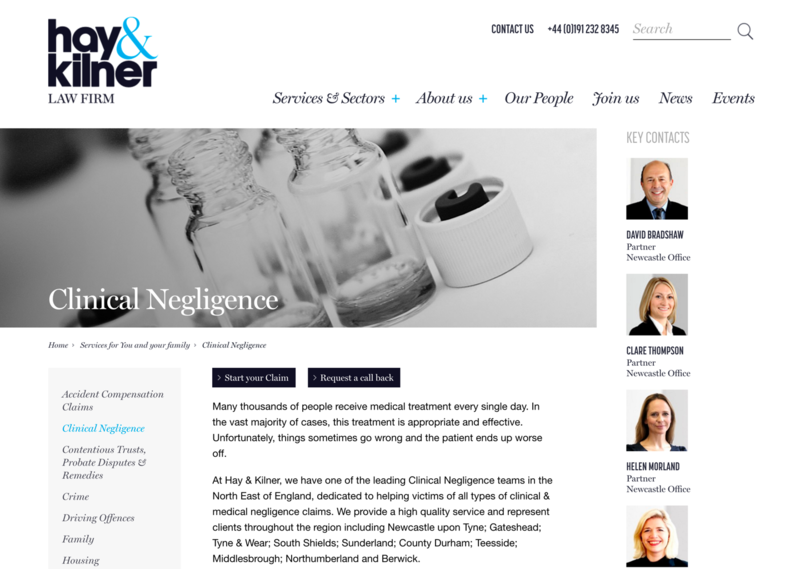 Hay & Kilner, a leading North East law firm, commissioned Roundhouse Digital to develop a new responsive design for their existing website with the aim of a platform which reflected the stature of the firm. 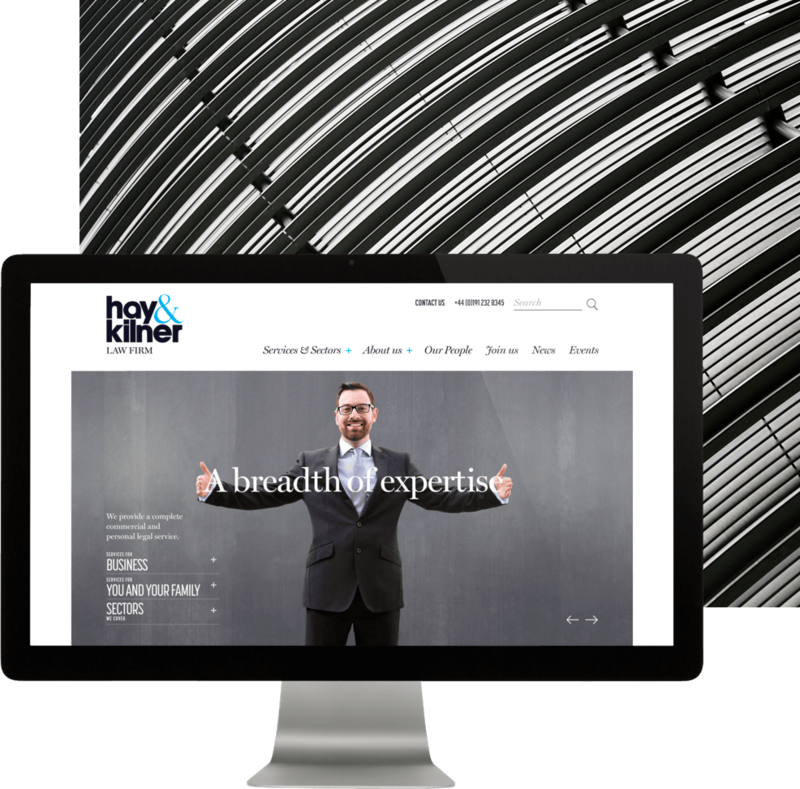 The homepage introduced three simple gateways into the site which focused on each user case in order to engage audiences quickly. 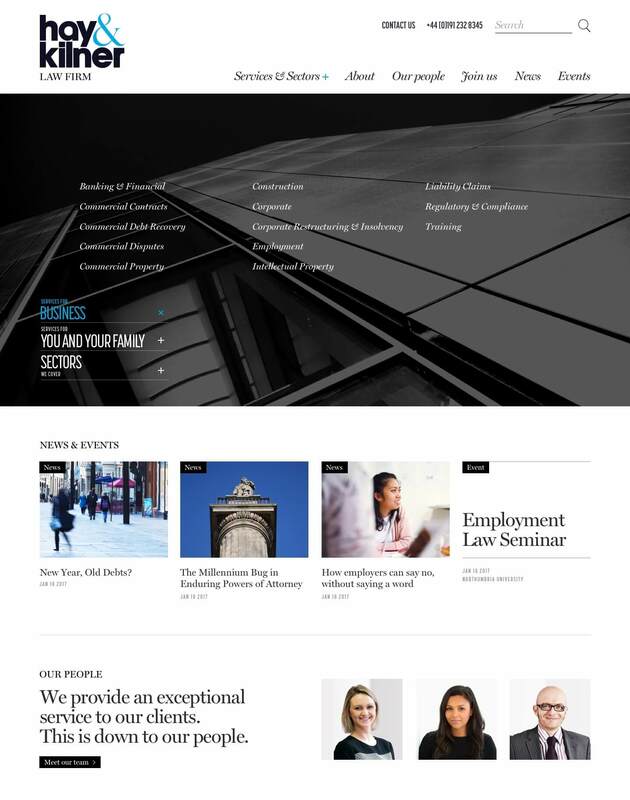 To ensure content displayed effectively across different devices a number of different interface tasks were involved in the responsive design phase, ranging from designing mobile friendly navigation across different device sizes, ensuring the size of the typography is balanced with the overall layout at certain sizes, laying out each element on the page and re-arranging in order to create the best flow of content, re-creating graphical elements so that they adapt to different screen sizes, making sure buttons and links have sufficient hit areas and ensuring that all graphical site furniture could be scaled and viewed on high definition / retina resolutions. 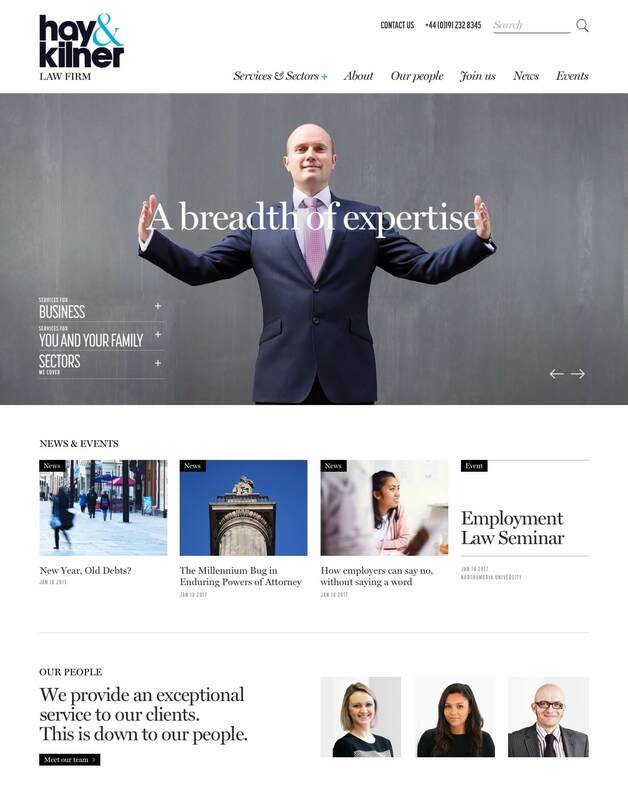 We modernised the visuals which would also greatly improve site performance by using CSS techniques where possible, for example, removing shadows, rounded corners and gradients.